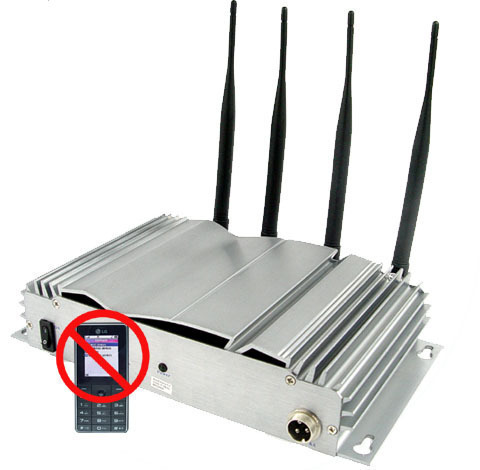 IMSI (International Mobile Subscriber identity) is the information that is used for identification of a mobile phone end-user on a network and is uniquely associated with a given cell phone The IMSI code is stored as a 64 bit number or field, and is sent by the mobile phone to the cellular network. 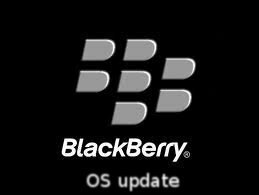 The code can also be used by the mobile network to obtain additional information about the phone from the HLR (home location register) or from the visitor location register. In order to help minimize the code from being captured by eavesdroppers, the IMSI code is transmitted as little as possible. In many cases, a TMSI (randomly generated code) is sent in place of the IMSI. When is an IMSI Code Used? An IMSI code is used by any cellular network that allows connections with other mobile networks today (most do). 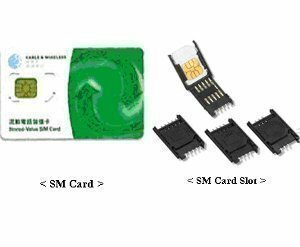 For those that are LTE, UMTS, or GSM-based, the information is included in the mobile phone’s SIM card. 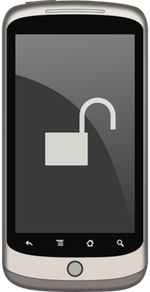 For a CDMA 2000 network, the code is included either in the R-UIM card or on the phone directly. In order to represent the 64 bits of information, the code is normally encoded into a 15 digit number, but can be represented by a smaller string of numbers (MTN South Africa’s legacy IMSI codes are only 14 numbers in length as an example). What Information Does an IMSI Code Include? As stated, IMSI codes are typically 15 digits in length, but can be shorter. The first three numbers in the code represent the MCC (mobile country code). Following these numbers are the digits that represent the MNC (Mobile Network Code). The MNC is two digits in length if following the European standard, or three digits if following the North American Standard. The remaining numbers in the IMSI are the MSIN (Mobile Subscription Identification Number) that come from the respective mobile network’s base of numbers. The entire IMSI numbering system is designed to follow the ITU E.212 numbering standard. How Do You Analyze an IMSI Number? The field of IMSI analysis is designed to help identify the mobile network that an mobile phone belongs to and whether or not it is allowed to use other cellular networks using the IMSI code. Some networks require subscribers to subscribe to roaming capability which may or may not result in increased charges for the mobile subscriber. Step 2 – The Global Title is used to look-up the subscriber’s information in the remotely located HLR. This information is primarily used to determine if the phone is able to use international roaming. When located outside of the United States, Canada, and Mexico, the IMSI code is converted into MGT (Mobile Global Title) format which is slightly different from the E.164 based number used in North America. Step 3 – After conversion, the GSM number authority will use the country calling code to determine the MNC and further convert (if required) to the national network code for the cellular carrier’s network. More recently; however, the GSM numbering authority has gone on the record to state that only a single conversion is made to complete this process. In North America, once the conversion occurs, the phone can be directly routed on SS7-based networks. SCCP (Signaling Connection Control Part) is a protocol designed to operate at the network layer providing extended segmentation, flow control, routing error correction, and connection-orientated capabilities in telecommunication networks. The protocol leverages MTP services for basic error detection and routing; however, SCCP also permits routing using a Point Code with Subsystem number also referred to as a Global Title. How are SCCP Messages Routed? When used on mobile networks, SCCP message point codes are used to ascertain a node on the respective network. The subsystem number will be used to locate or address specific applications available on the node and will use Global Title Translation to determine the Point Code from the Global Title. This information will inform MTP on the appropriate location to send or route messages. Routing indicator (further includes information on whether to route via Global Title or on the Point Code/Subsystem Number), Global title indicator (Whether or not the message includes a Global title, if it does the Transition Type, NPI, and TON (Type of Number), and if the global title is only a transition type), Subsystem indicator (Whether or not there is a subsystem number present), and the Point Code indicator (whether or not there is a point code present). A SCCP message will also include a Global Title field if used which will include the address indicator coding, and if the code is a national one or not. Class 0: Basic protocol that is connectionless. Class 1: Sequenced and connectionless. Class 2: Basic protocol that is connection orientated. Class 3: Connection orientated, flow control protocol. Class 4: Flow control, connection orientated and error recovery. Within the SCCP protocols, the connectionless classes provide capability to transfer a single NSDU (Network Service Data Unit) into the data field of an UDT, LUDT, or XUDT message. When a single message does not provide sufficient capacity to transfer the end-user information in a single NSDU, a reassembly function is provided for classes 0 and 1. When this function is implemented, the SCCP at either the originating or relay node will segment the information prior to transferring to the data field of a UDT related message. Once the information is received at the destination node, the NSDU will be reassembled. The primary connection-based classes provide a capability to set-up connections to allow the exchange of many related NSDUs on the network. There is also a segmenting and reassembly capability included with these classes with NSDUs longer than 255 octets being split at the originating node prior to transfer into the data field of the DT message. What is a Global Title? The GT (Global Title) is an address included in a SCCP formatted message to help route messages on telecom networks. Originally, a GT was intended to be a unique address that would only reference a single destination; however, industry has been able to manipulate the protocol to change destinations over time. The purpose of a global title is similar to that that of a host name on the Internet, just intended for use on the PSTN. The structure of global titles is hierarchical in nature and may have a varying length depending on the country or mobile network. What is the Global Title Format? The global title’s format is formally defined by a few entities to include the ANSI (American National Standards Institute) specification ANSI T1.112/2000 (national definition) and by ITU-T Recommendation Q.713 (international definition). Regardless of the definition, the GT’s value consists of an attribute sequence that can modify address values. The first value included in a GT is the format parameter that provides a flag or indicator as to which of the defined formats for the value are being used. Next, is the NPI (numbering plan indicator) which aids in describing the number plan used for the GT. This helps the underlying routing system determine the right network system to use for sending the message. The TON (type of number) is also referred to as the NAI (nature of address indicator) parameter of the number. This helps relay the scope of the address value type (to include country code, national or domestic number, and in North America the “local” format where a phone number is called or messaged without using an area code). The TT parameter of the GT is the translation type. It is used to indicate the preferred method of GT analysis and is normally set to the default value (0) in international networks. For cellular networks located in North America, there are different translation types implemented for analysis of the IMSI number and aids in determining the appropriate one. GTT (Global Title Translation) can be thought of as being an equivalent to IP-based routing. The translation of the address will provide the ultimate destination of the number being called and help identify it via the phone network. The GTT process will also provide a global title modification as a result of the look-up action. More recently, SS7 over IP has allowed the translation of a global title to providing routing capability to an IP server vice phone network. The translation details of this capability remain very specific to the company providing the underlying capability to their network subscribers. What is Home Network Identity? HNI (Home Network Identity) is the term used to describe the combination of the MNC (Mobile Network Code) and MCC (Mobile Country Code). The number is subsequently used to identify the home network of a subscriber and is also known as the public land mobile network (PLMN). In practice, PLMNs are networks that have been both established and operated by a ROA (recognized operating agency) for the purpose of providing land-based mobile services to the public. A PLMN will typically connect with both the PSTN (publicly switched telephone network) and other PLMNs for both Internet and data connections. In order to access the network, an air interface between a mobile phone and land-based base station or transmitter/receiver is required for the subscriber to obtain access to network services and to make phone calls. The following is an example of how IMSI numbers are actually used / translated in real life which may or may not closely match what the international standard recommends. Step 2 – Remove the first five digits of the IMSI code. Step 3 – Prepend the E.165 country code and the applicable local prefix for the mobile network. Step 4 – Mark the number has being conformant with the E.214 numbering plan. Step 5 – Route the message via Global Title across the SCP network. Step 1 – Match the first six digits of the IMSI to determine the MCC and MNC for the mobile device. Step 2 – Remove the first six digits of the code. Step 3 – Prepend the E.164 country code and the network code for the mobile provider. Step 4 – Annotate the number has matching the E.214 number plan and route the message on Global Title across the SCCP network. preciso saber porque o imei do meu celular esta dando invalido. se comprei ele da china via internet em junho deste ano. como faço para ele voltar a funcionar? 322 queries in 0.549 seconds.